Capture a more youthful appearance and alleviate your skin’s signs of aging with LED (light-emitting diodes) Light Therapy. Skin will appear smoother, tighter, and more radiant. It helps to visibly reduce fine lines, wrinkles, and age spots, tightens pores and shows continued and gradual improvements with each subsequent treatment. LED Light Therapy (aka: LED photo-facial treatment) is a breakthrough technology based on important research by NASA showing that certain frequencies of light significantly increase new tissue growth, reduce fine lines and wrinkles, and can also stimulate collagen production. As LED activates skin cells with pulses of low level – non-thermal light energy, the cell converts light energy into fuel (how it works is much like photosynthesis) in turn stimulating the cells to produce proteins and lipids essential for building and repairing the skin. It does not use heat or any kinds of “invasive” process. It triggers the body to convert light energy into cell energy without thermal heat. No- pain, discomfort or down time. LED Light Therapy is clinically proven to be safe for all skin types and effective in the treatment of a wide range of skin conditions. 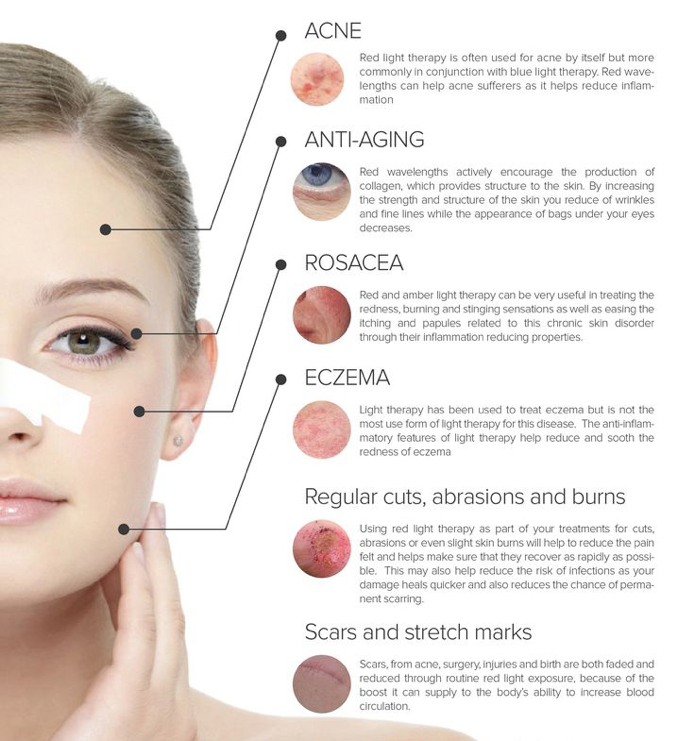 Also referred to as photobiomodulation or low-level laser therapy, you can expect a gentle, heat-free treatment that does not contain harmful ultraviolet wavelengths and therefore cannot damage skin tissue. The skin has the ability to absorb light and use it as a source of energy to stimulate a healing response. 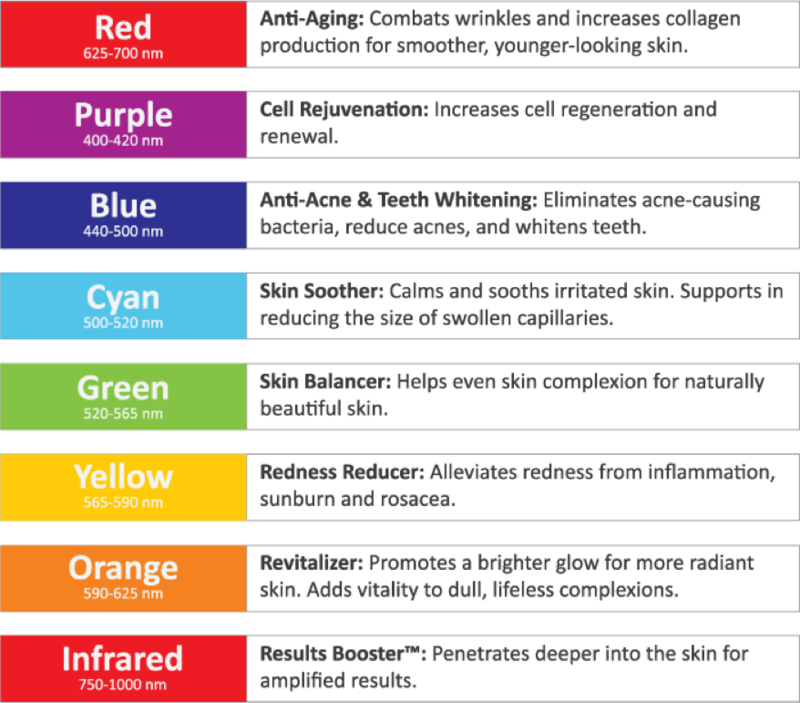 LED therapy uses specific color wavelengths of light that penetrate the skin at varying depths. The light energizes cells to produce collagen, improve elasticity and increase blood circulation and oxygen flow while releasing toxins. This in turn stimulates the anti-ageing process, helps to normalize cellular imbalances, and improves skin tone and clarity. It is a natural biochemical reaction similar to that of plant photosynthesis which triggers the body to convert light energy to cell energy. LED Light therapy is recognized medically and is a clinically proven treatment. 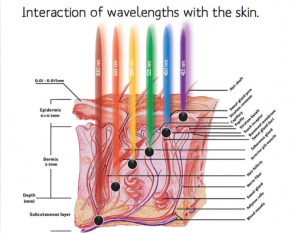 Laboratory studies have shown that when skin is exposed to LED Light wavelengths, skin cells regenerate themselves. There is no downtime or risk of unwanted side effects. LED Light treatments last about twenty to thirty minutes, and can be a stand-alone treatment, part of a larger treatment regimen, or simply to enhance a facial or Hydrafacial. The therapy is also effective for reducing redness after more aggressive Collagen PIN, Photofacial IPL, or laser skin treatments. The results won’t be as dramatic as plastic surgery, but it’s a gentler, more natural, less expensive way to go. While noticeable results are visible after one treatment, we recommend a series of treatments to achieve maximum benefits. The optimal results are generally achieved with 6 successive treatments, followed by a maintenance treatment every month or two.